Enjoy David playing the piano at the Crab and Fin Restaurant. 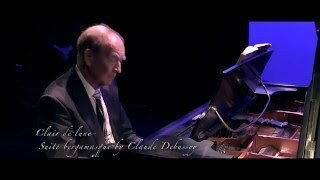 Claire de Lune by Claude Debussy is still a favorite piano classic. So is Scott Joplin’s The Entertainer. Enjoy David’s piano playing outdoors (weather permitting) on an authentic Yamaha console piano. Have lunch, dinner, or simply a beverage. “I’d say that overall, it’s a great place to have lunch or dinner if your around Saint Armands or Lido Beach.” in 35 reviews. David is returning to the Crab and Fin for a 2nd engagement. He played there 2017 from May 31- Dec. 19. Most recently, David just played from Dec. 20, 2017 to April 1, 2018 at the Gasparilla Inn on the isle of Boca Grande, Fl. This has been his 9th consecutive year at this world famous location. David has also played extensively in New York. This has been for 15 non consecutive summer seasons at Scott’s Oquaga Lake House. Currently, starting April 9, his piano playing has been called upon again at the Crab and Fin Restaurant : Monday evenings from 6-10 pm; Tuesday afternoon from 12:30 to 5 :30 p.m. Wednesday also from 12:30 to 5:30 pm. You can enjoy lunch, dinner or simply purchase a beverage and listen to his piano playing in a beautiful outdoor setting. I just want to say I’m all new to blogging and certainly liked your web page. Likely I’m want to bookmark your blog post . You actually have beneficial posts. Thank you for revealing your website page. I simply want to mention I am very new to blogging and definitely loved you’re blog site. Almost certainly I’m want to bookmark your blog post . You definitely have excellent posts. Thank you for sharing your blog site. I really wanted to type a word so as to say thanks to you for the superb tricks you are showing at this site. My incredibly long internet research has at the end of the day been honored with sensible know-how to talk about with my good friends. I would tell you that many of us site visitors are really fortunate to be in a decent website with many perfect people with useful tips and hints. I feel extremely happy to have seen your entire webpage and look forward to plenty of more fun moments reading here. Thank you again for all the details. I discovered your weblog website on google and check a number of of your early posts. Continue to maintain up the excellent operate. I just further up your RSS feed to my MSN News Reader. Looking for forward to studying more from you later on!? I and also my friends have already been viewing the excellent ideas located on your web blog then quickly I had a horrible feeling I never expressed respect to the site owner for those tips. My people were so warmed to study them and already have seriously been using them. Thanks for being really thoughtful as well as for deciding on these kinds of fabulous subject matter most people are really desirous to learn about. Our sincere apologies for not saying thanks to earlier. I happen to be writing to make you know what a fantastic experience my friend’s child developed reading your web site. She noticed a lot of things, including how it is like to have a marvelous coaching heart to have the mediocre ones effortlessly know precisely several complex issues. You actually did more than our own desires. I appreciate you for distributing such effective, dependable, edifying as well as fun tips on this topic to Gloria.